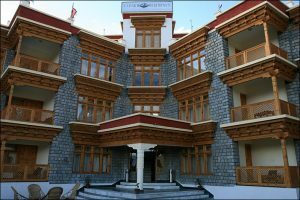 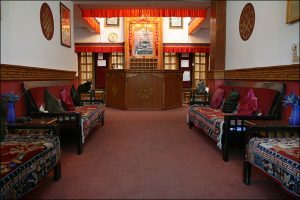 You’ll be spoilt for choice when you come to sleep in Ladakh: more than 150 hotels and guesthouses are presenting themselves after arrival in Leh. 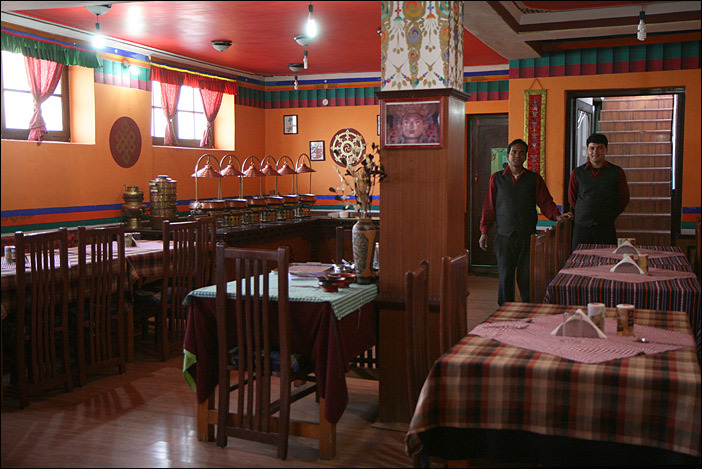 Yangla Tours offers you to choose already at home. 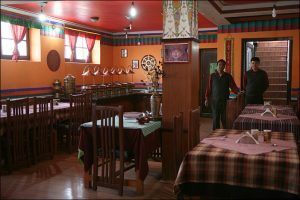 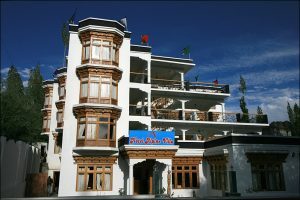 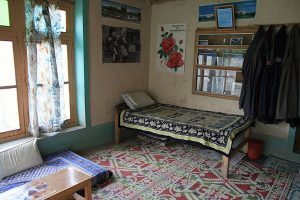 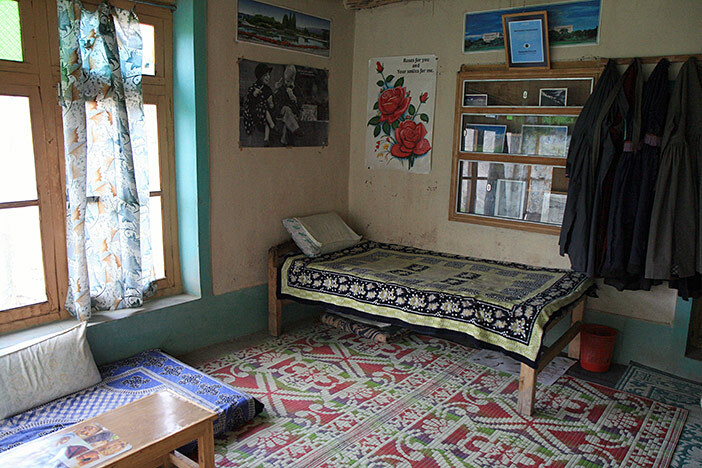 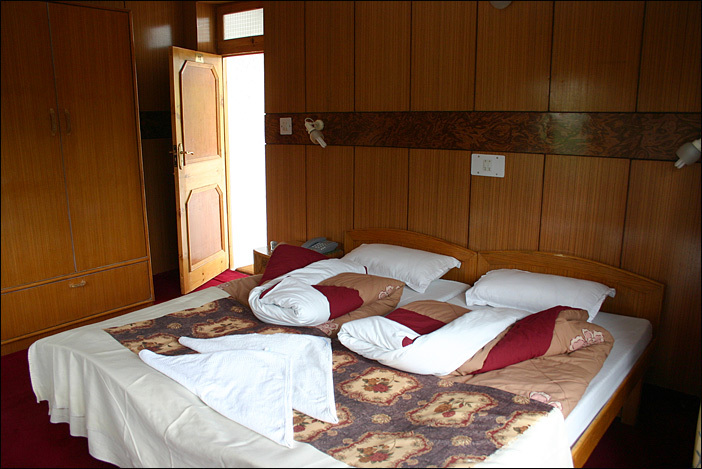 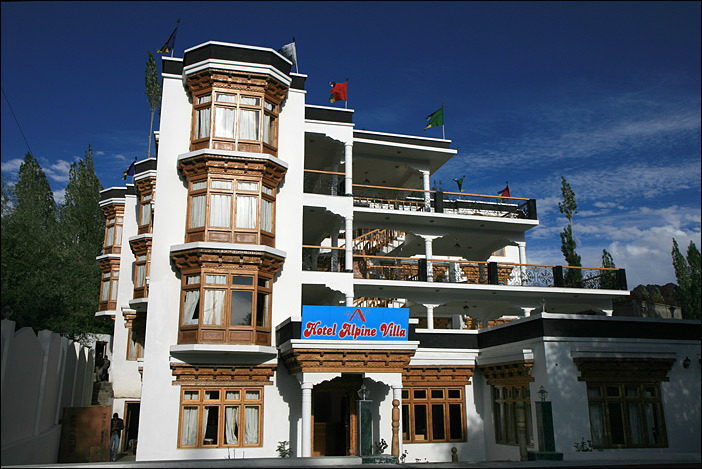 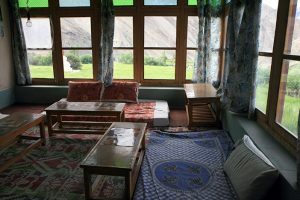 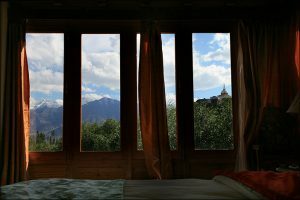 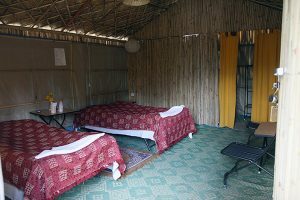 The accommodations we are working with are all owned by ladakhi families and are either more simple guesthouses or a-class hotels - all with attached bath. You can choose between different standards and locations and book them together with your tour. 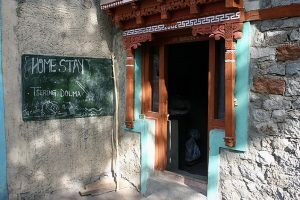 In the last years there has been quite an increase of tourists (especially Indians) and therefore some desired accommodations have been already full. 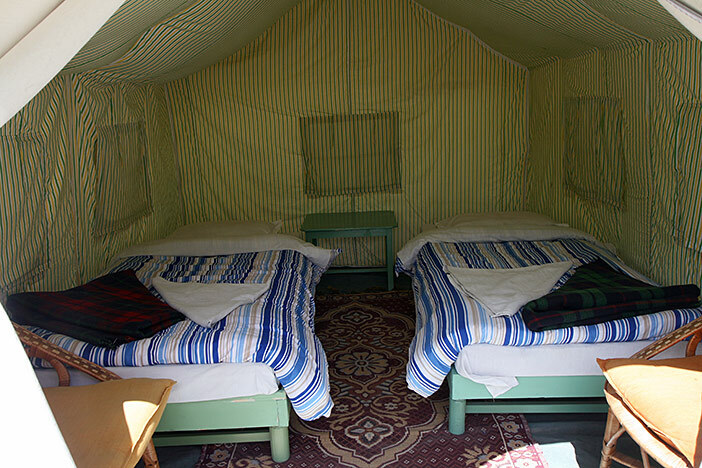 Therefore especially in the peak season we advise you to arrange a reservation for at least the first nights. Outside of Leh there are several simple guesthouse - some even part of monasteries. 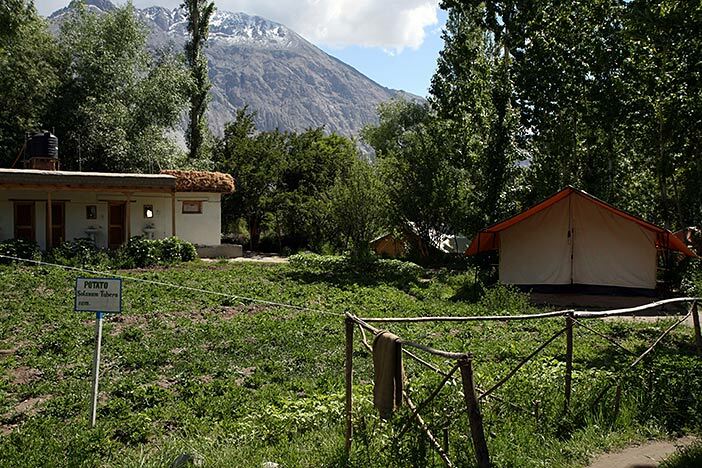 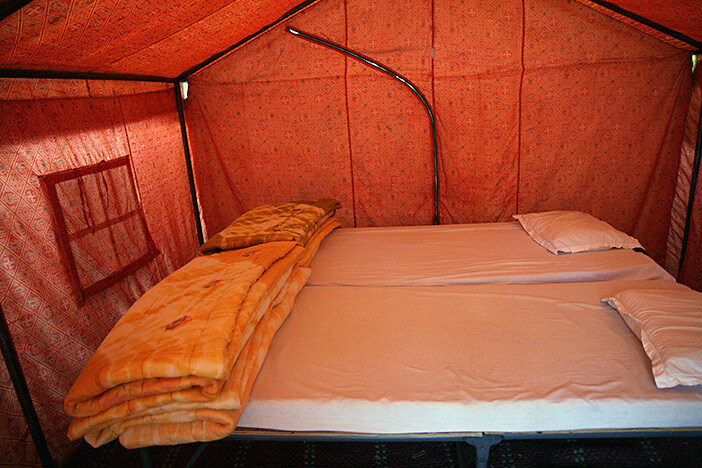 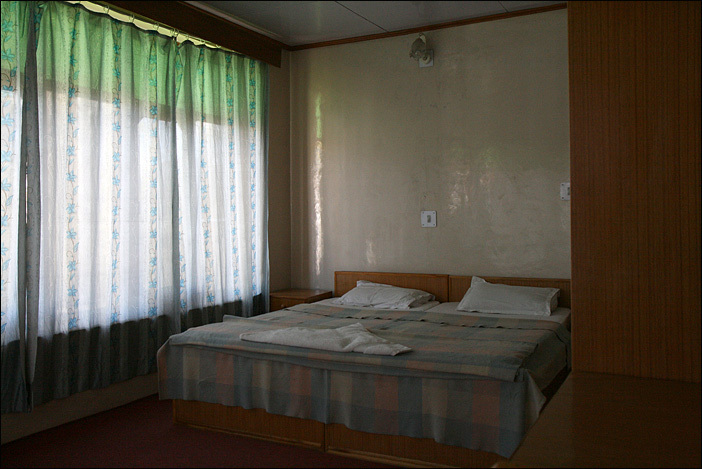 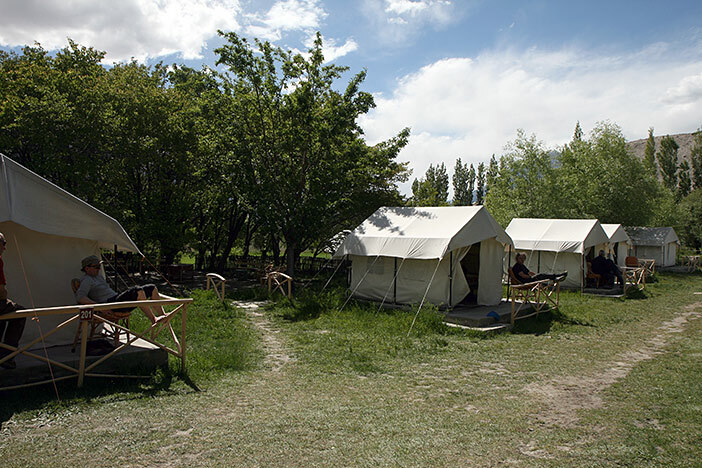 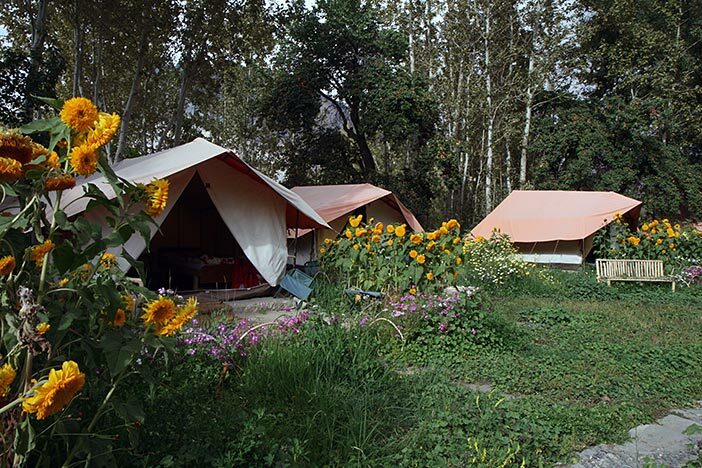 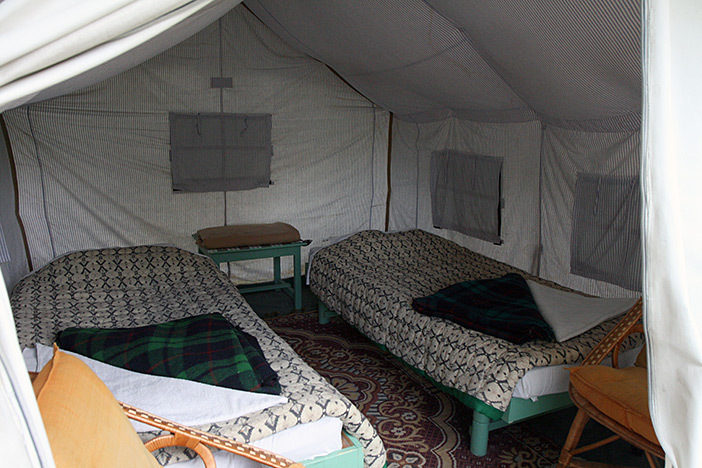 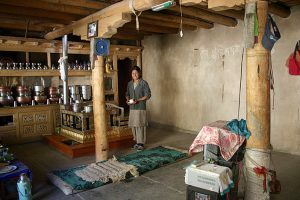 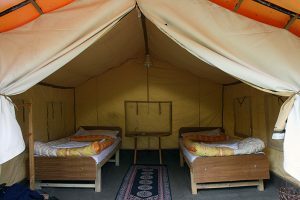 There are quite some much liked a-class camps especially in Changthang and Nubra-Valley, which are really comfortable. 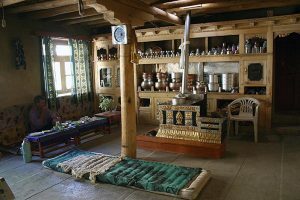 Another possibility in the villages are the homestays, in which you can get a great insight into the ladakhi family life. 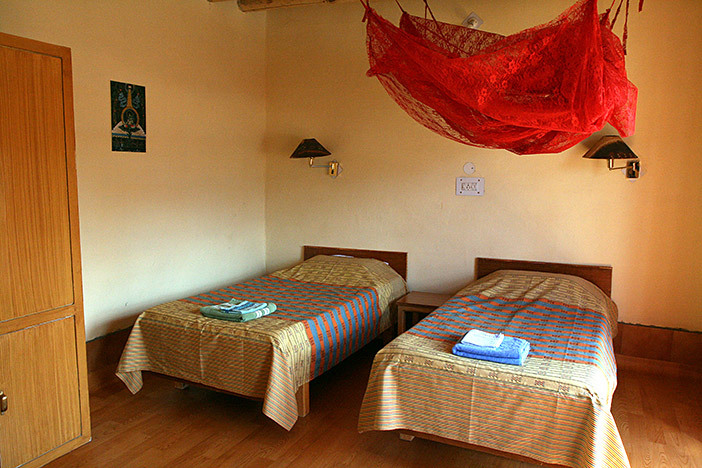 Hotels there are mostly in Leh (in Tingmosgang there is another one which is really recommendable). A-class is the best category, which close to a 3-***-hotel. 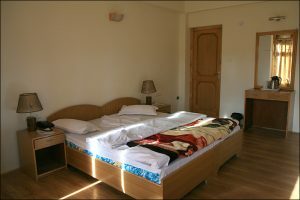 The rooms are clean, nicely furnished and cosy with carpets or easy-to-clean surfaces, there is a restaurant with mostly buffet and a sitting area either in a garden or on a huge balcony, where you can relax easily. 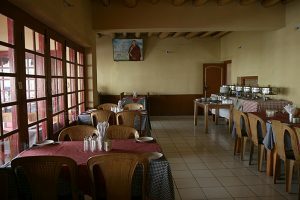 Staff is friendly and cares about all your comfort. Laundry service is everywhere available. You can choose between houses closer to the centre, which are quite, but nightly dog-barking can be a problem, and houses in more quiet areas, from which you have to walk approx. 15 min by foot to the bazar-area. 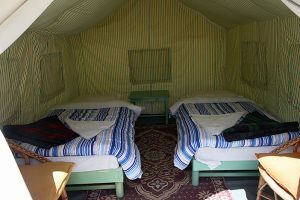 For sure we will give you advise for your choice of accommodation! There are plenty of guesthouses in Leh. 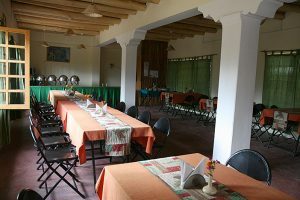 Most of the families prepared soem or many rooms for guests. 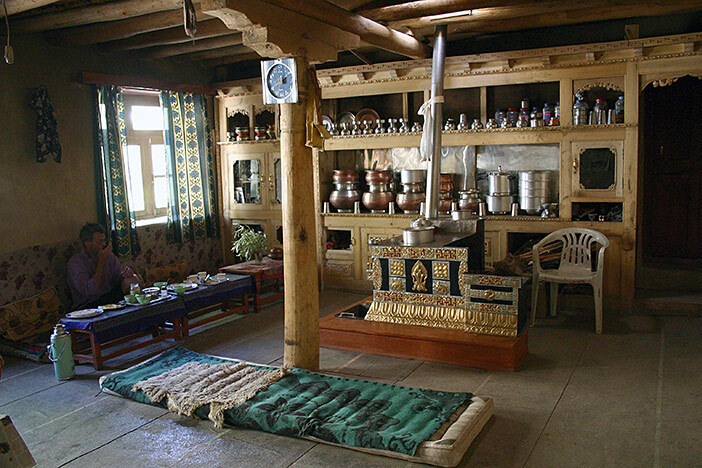 As the families live there themselves, one gets nice expirience of ladakhi family life, too. 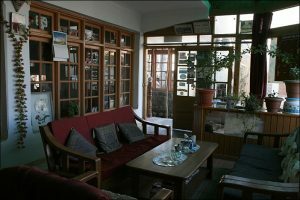 Mostly they have a garden next to it and some families have soem cows. 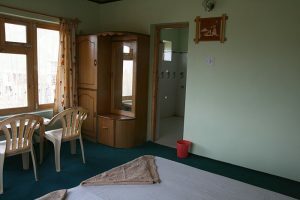 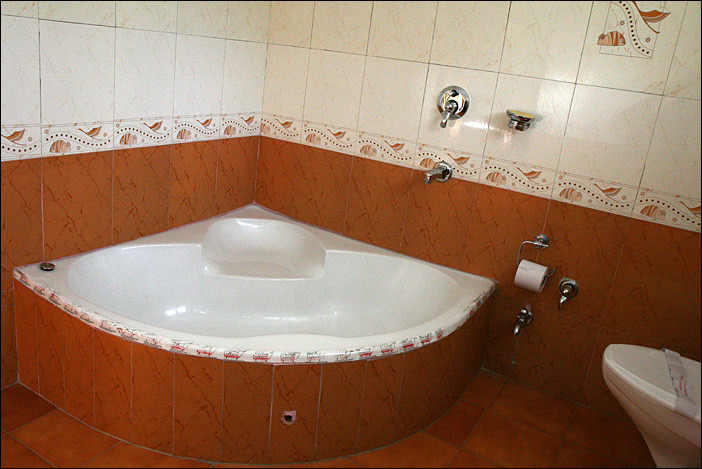 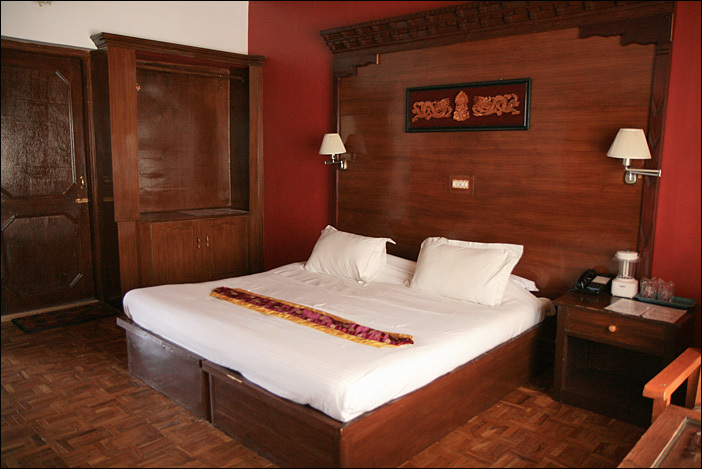 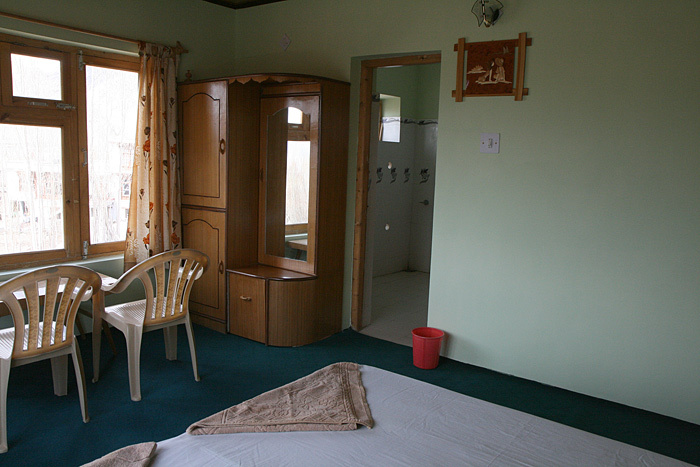 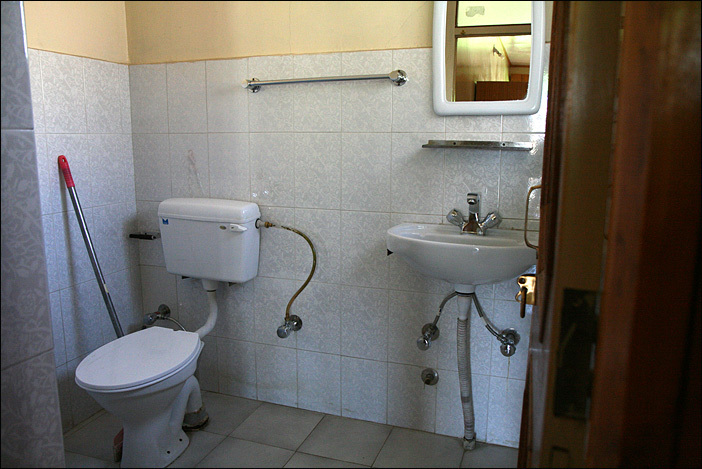 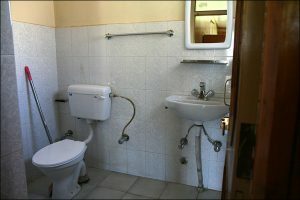 The rooms are simple, but furnished well and have attached bath. 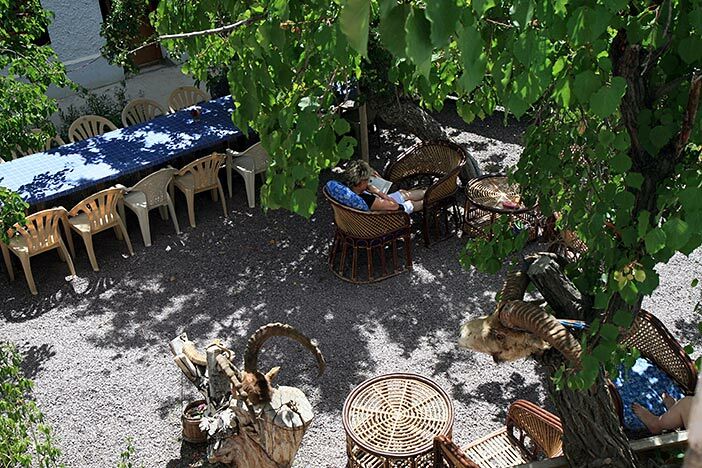 There is a sitting area in the garden, where you usually can get breakfast. 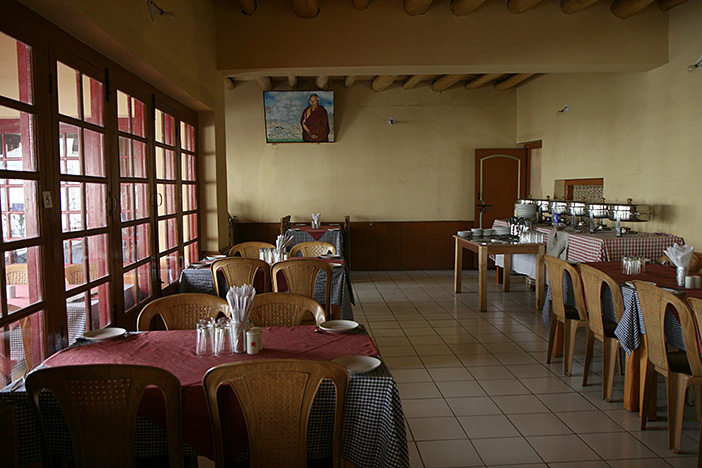 Dinner you can usually get on special request. 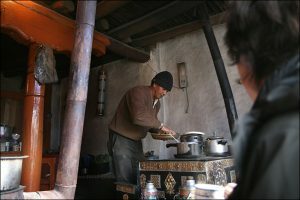 On cold days you sit in the living-room of the family for the meal. 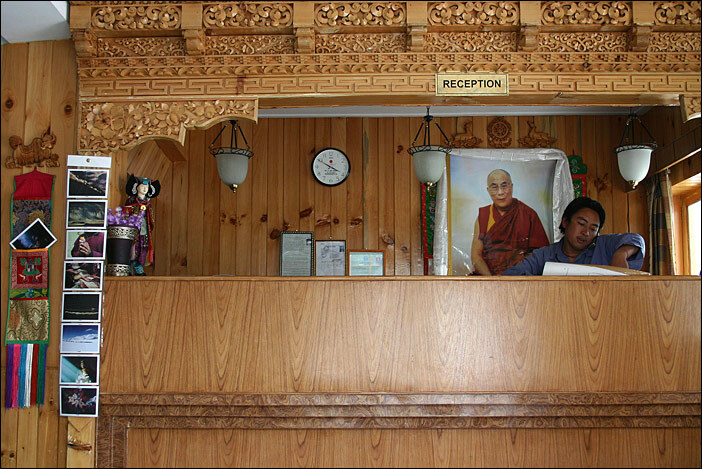 As only few guesthouses have reservation-charts, not all of them are easy for us to make a reservation for you. 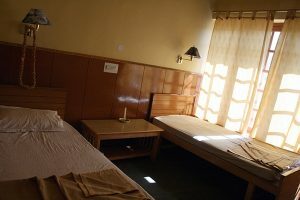 We work together with two very friendly and extremly clean guesthouses not too far from the city-centre, but for sure we try to get you a room in every guesthouse you would like to stay! 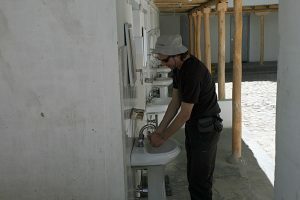 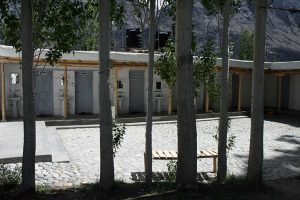 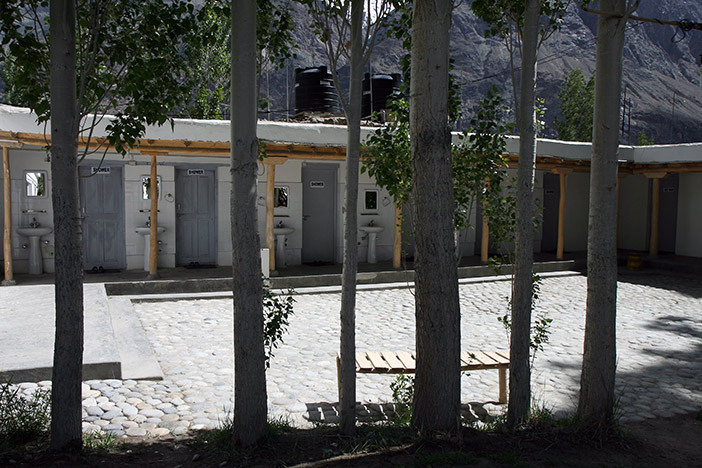 Outside of Leh in many villages you find simple guesthouse, which have sometimes common bathrooms only. 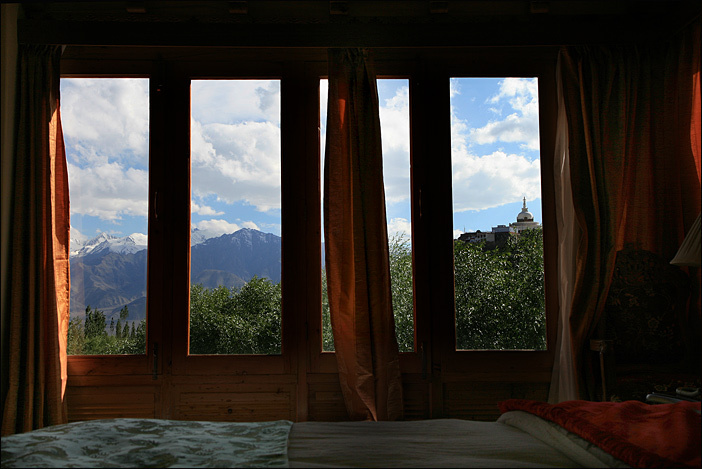 For sure we arrange a stay for you there! 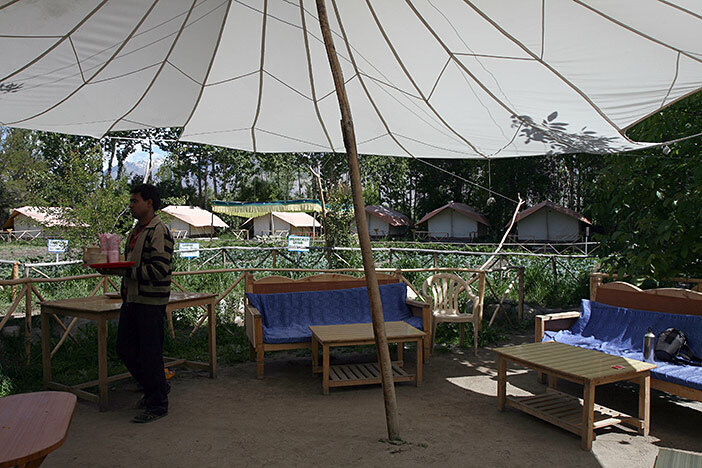 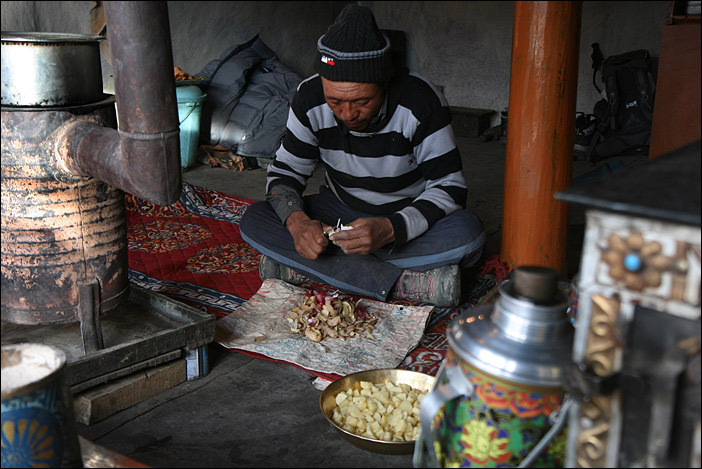 Quite far spread and popular form of accommodation in Ladakh outside of Leh are the fixed camps. 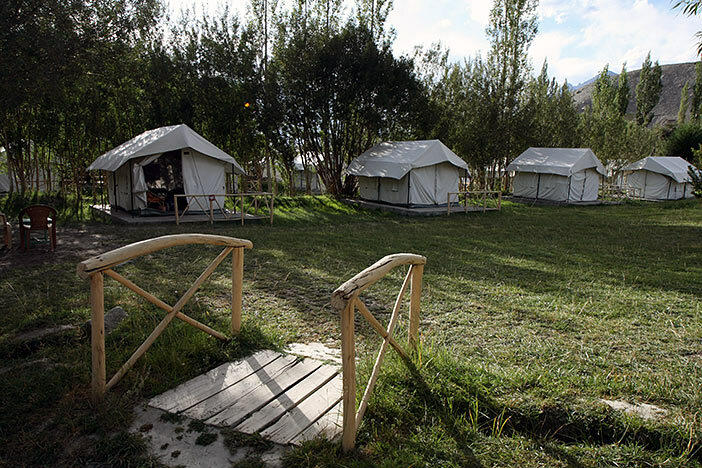 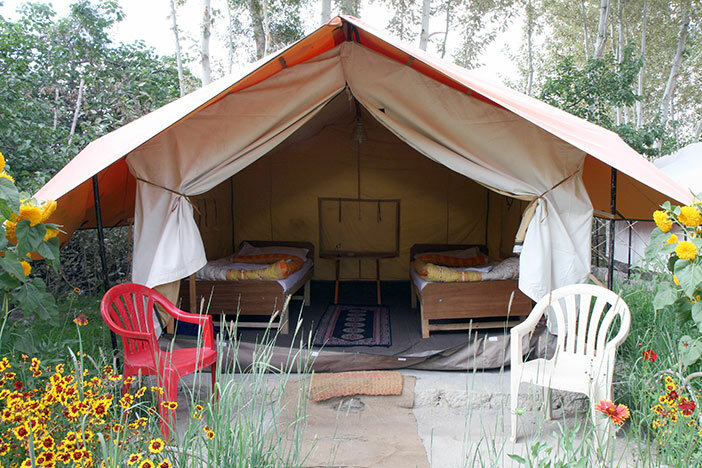 These consist of a number of bigger tents or small huts with comfortable clean beds in a mostly beautiful scenery. Some have attached bath, some have common bath and all have a nice restaurant with good food. Hot water and power is mostly surprisingly good, just in some remote areas not available. The camps are all called A-class camps. 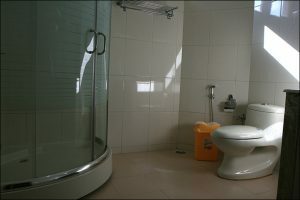 The equipment in regard of the circumstances is really comfortable and suitable so that one can feel really relaxed. 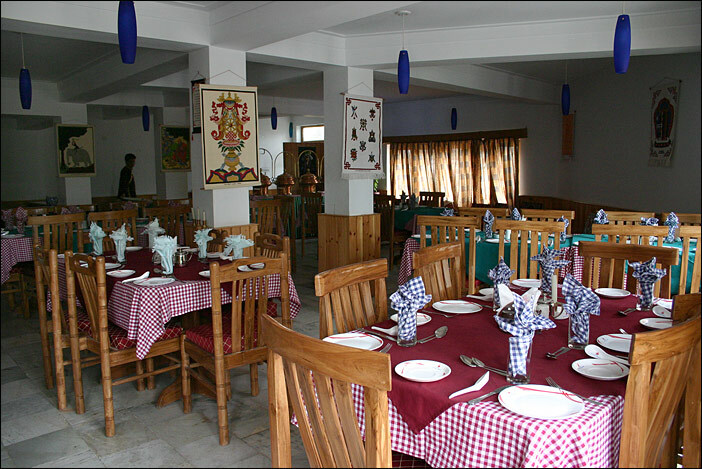 Most welcoming the staff is taking care of the guests and serves delicious food. 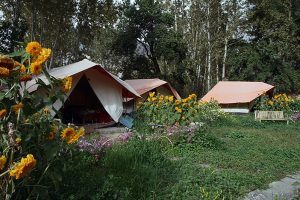 One stays nicely close to nature. 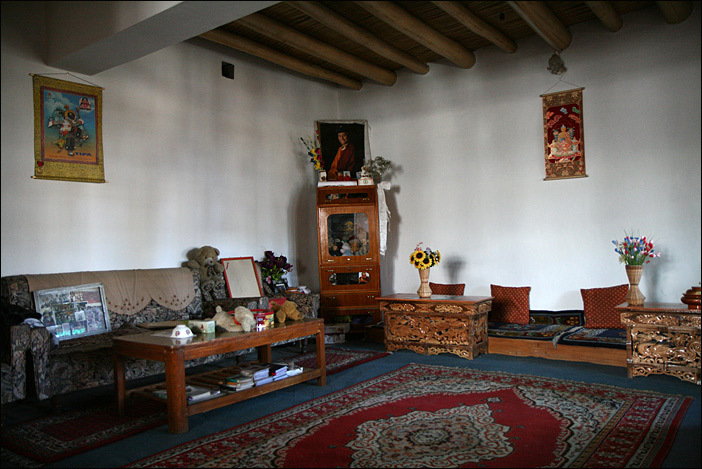 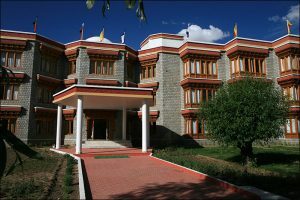 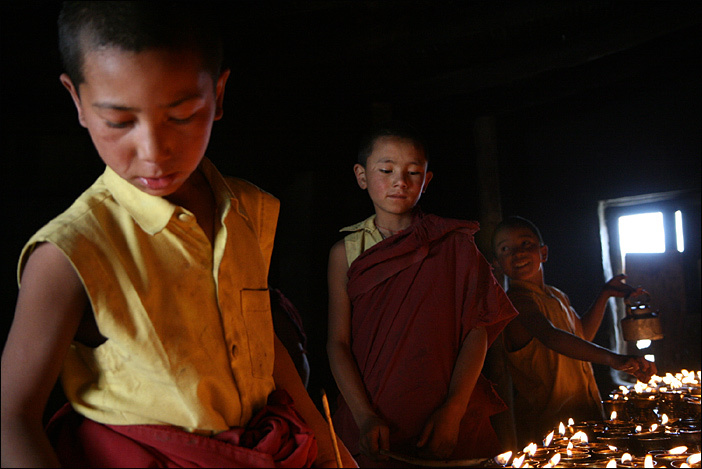 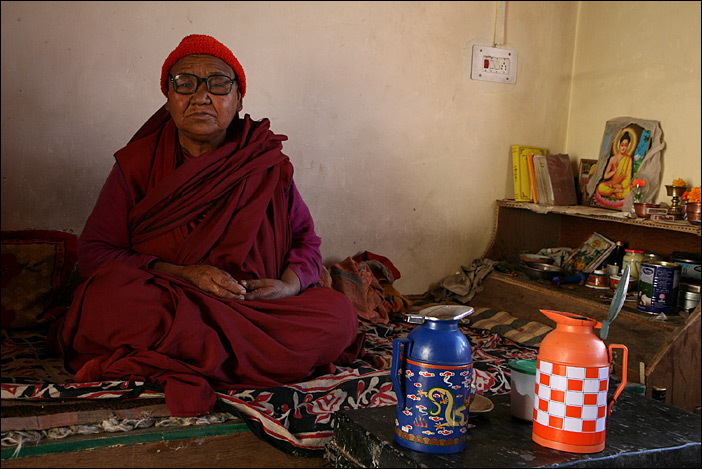 In Ladakh it is appealing, to have a closer look at the monastery life then just by a day-visit. For visits of one to several nights there are different possibilities. 1 hour walking path above the Hemis monastery is the hermitage Göthsang with several small units for intense meditation. 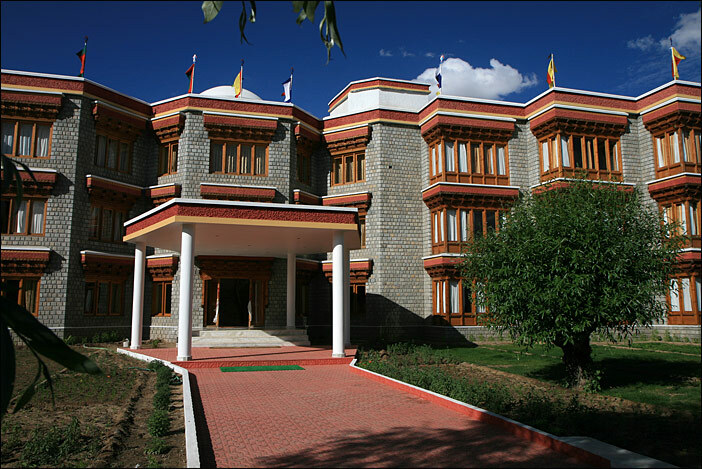 Apart from Ladakhis there are also Westerners welcome, who are advanced in meditation. 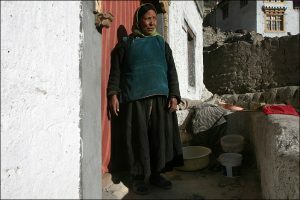 As a new concept for the protection of the snowleopard and for the support of the community-based tourism in 2003 the idea of the Himalayan Homestay came alive. 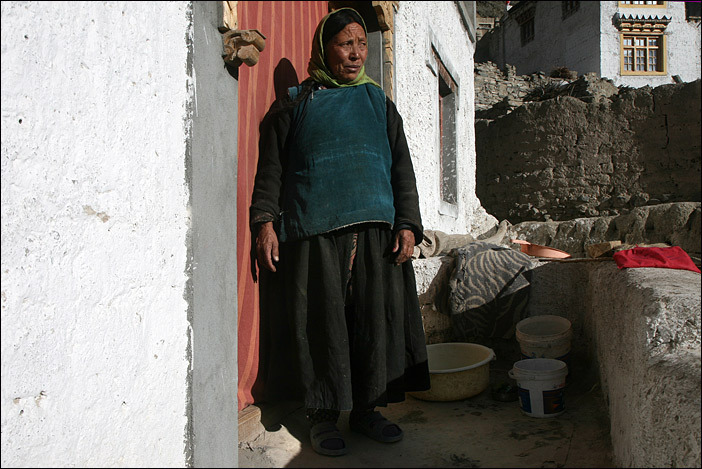 With this additional income, the loss of animals by attacks of the snowleopard can be equalised. 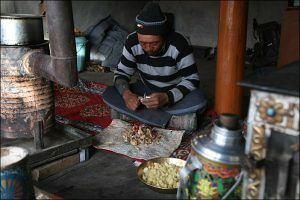 More infos about the snowleopard you find on the website of the Snowleopard Conservancy. 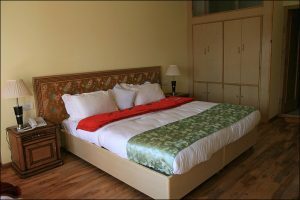 It is better to prebook a homestay.